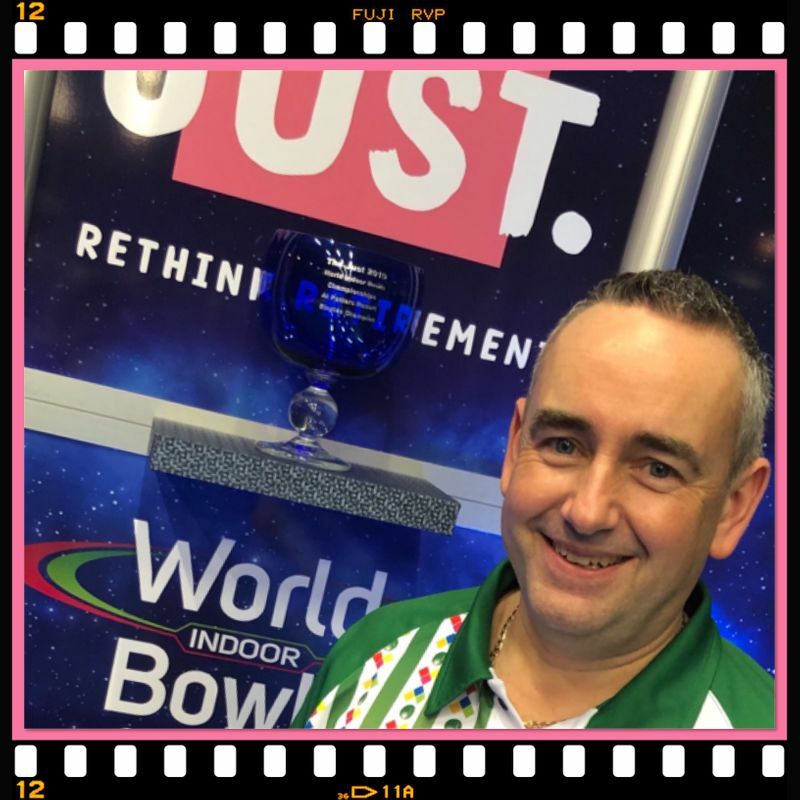 Ranked number 2 on the WBT Ranking list, David Gourlay was the second RED SHIRT to surprisingly fall from grace going down to Nottingham’s Simon Skelton as Day 6 of the World Indoor Singles Championship unfolded at Potters. The Scot, who received his MBE Award from Prince Charles at Buckingham Palace two months ago, and is the National High Performance Manager for Bowls Scotland, started off like a man on a mission, striding out to a 6-1 four end lead against 2015 world pairs champion Skelton from Nottingham. Skelton though, who last appeared on the WBT circuit four years ago, clawed his way back with a 1, 3, 2 and 1 and was content to drop a single to take first blood 8-7. Buoyed on by his superb form, former Commonwealth Games gold medallist Skelton turned the tables on the Scot when he went 6-0 ahead after four ends in the second set, but despite all his efforts, a frustrated Gourlay had to bow out to the Englishman 8-5. Gourlay’s last first round defeat was in 2014 to Les Gillett. Skelton now waits for the winner of the match between number 14 seed Jason Greenslade and South African qualifier Craig Rimmington. The Springbok made his last appearance in these Championships in 2012. That year he beat six time champion Alex Marshall then lost in the second round to Andy Thomson 11-2, 11-3.